I want to share with you my appendicitis experience at 14th of February (Valentines Day) Guess the Appendicitis was my HOT Date for the day. I am skipping the morning to the time it happened so not to bore you with office works stuff. 6pm: Got back home and the pain intensified, was feeling cold and I couldn’t event sit up straight, Had my dinner and slumped into bed straight. 7pm – Midnight : Fever just hit me straight, and my body temperature has shot up really high, I can feel it but nothing to prove it as my thermometer was outside. 11am: I went to the clinic and felt much better but with the pain now shifted to the lower right side of my abdominal. 11:45am: checked myself into A&E at Changi General hospital, went through a first Doc named Eugene Huang, He was pretty cool and he examined me with the pushing of the tummy where they call it the rebound, but he was confused at my state as he says you look ok to me, but just to be sure he needs to do a blood examination. 1pm: I was asked to see the specialist (not sure who they are but was asked to see them for more review) I was wheeled into a room with 3 young chaps and a lady (those guys look like they were in their teens) Doc still says that with my facial expression and well being they kinda worried to just cut me up, so not being convince they asked the surgeon to take a look at me before really conforming on the surgery. 4pm: Dr Kevin says OK, Confirmed you are going to be warded and prep for surgery tomorrow. (GROANS) He just mention that I have a very high pain tolerance level and he never seen a patient with appendicitis like me, cause he say you don’t even look sick , maybe I should have told him that all the Ironman training helps? I know most of you have been told by your parents or other grown-ups at one point in your childhood not to run around right after a meal. They say that the food will get into your appendix and you’ll get appendicitis. So is this true or is it just something parents tell you so that you’ll behave after eating? Well, this one ain’t true! Running or jumping around after a meal will not cause appendicitis. Just a brief tidbit, the appendix is a small, useless tube of tissue that extends from the large intestine. Appendicitis is caused by an inflammation of your appendix which is usually due to feces or growth clogging and infecting it. If left untreated, it might burst and spread the infection to the surrounding organs. Usually if you have it, you will feel an unusual pain from your belly button moving to the lower right side of your abdomen and it gets worse in a few hours. But running around after a meal won’t cause feces to shoot into your appendix and block it. Although, you could get an upset stomach or might puke if you do that. Remember when you just had that burger and fries meal right before riding a rollercoaster? Hehehe. Oh if you want to know how much my estimated bill for a 5 days in the Hospital check it , Please have a seat before you see the bill and dont be shocked ! After the surgery I cannot tell you how important your abdominal muscle is, even the slightest movement you are using your abdominal strength ! after this surgery my tummy is bloated and I could not move my abdominal as much as I wish, slightest sneeze and it hurts , not to mention if I laugh ! OH GOD ! that pains me to the extent that having to stab a knife on my hands feels the same. Anyway looks like I am sideline from all my sports for at least 3 months and max 6 months , Doc knew I was a triathlete (dont know how but he knew) so he warned me NOT TO DO any of my sports. This entry was posted on 19/02/2013 by isaac976. It was filed under Health and wellness and was tagged with Appendicitis, Appendix, CGH, Changi General Hospital, Keyhole, surgery. 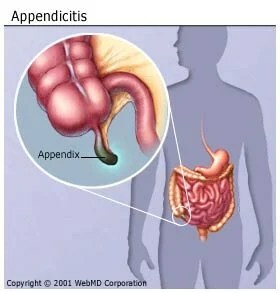 Hi Lerie, I never knew I would have appendicitis as well, but if you really have a persistent pain on your (LOWER) right abdomen, please go see a doctor ok.
Doctors here are worried cause if they cut me out and found out there was no appendicitis , then it would be a big WHOOPS to them. that’s why they went through scans after scans and tests.. So its not a good thing to have high pain tolerance level I believe. Yikes! Sorry to hear about that. Wishing you a speedy recovery! Thank you, Angelina words such as yours heals me quicker, you have a great week. Hope you are better quickly! (I had a similar experience…at 55 years old my appendix actually ruptured, very nasty pain and sickness.) Loved watching your short video! Hey there, its good that you have past the worst of it, and now your back and strong !! haha .. i was just being restless on the wheelchair… but It wasn’t a day in the wheelchair like what I intended to do more a rather just like 1 min on the wheelchair. Sorry to hear about your Appendicitis bro, my wife had her Appendix 13 years ago luckily I send her to the hospital asap, The Appendicitis had already burst and doctor had to do three pin hole operation to extract the fluid… Get well soon bro..
thanks bro . yeah .. it was very painful after surgery but luckily now I am feeling so much better. It was good that you sent your wife to the doctor in a quick fashion cause it could get dangerous.. I had only one keyhole instead of three.. so i can say lucky me. Hi Glinnis, How is your recovery? I hope all is good.. I didn’t know you then. Happen to see this blog post as one of the popular ones. One year already, I guess. I never had appendicitis before but I saw my brother had it when he was 8 years old. After dinner, he played Wong Feihung then stomache, not ok after seeing doctor and admitted to hospital. So I thought rice dropped into appendix is the cause, until I read this. How ignorant I was. But probably still play safe listening to the old wives’ tale. Interesting though. Hi Pamela, yeah getting the appendicitis from jumping and stuff is just pure old wives tales… but it is not a easy recovery from appendicitis.